Hand decorated china teabag holder with blackbird design in the shape of a teapot. 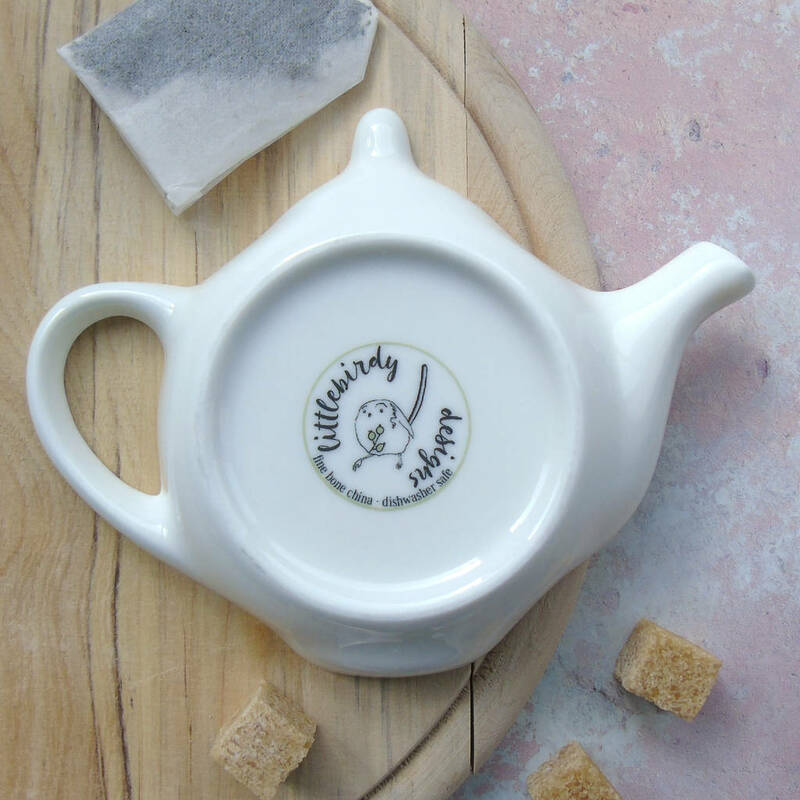 The perfect gift for tea loving friends. A pretty addition to your kitchen worktop, can equally be used as a spoon rest. 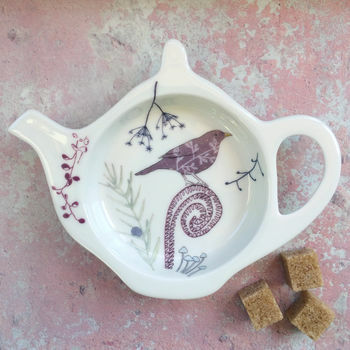 My illustrations of a blackbird, ferns and toadstools have been professionally printed onto ceramic transfers which are cut and applied by hand to compose the finished design. After decorating, the teabag rest is fired in my own small electric kiln to 800°C making it dishwasher safe. 15cm from handle to spout, 12cm high and has a depth of 2cm.The internal circle for the teabags has a diameter of 8.5cm.